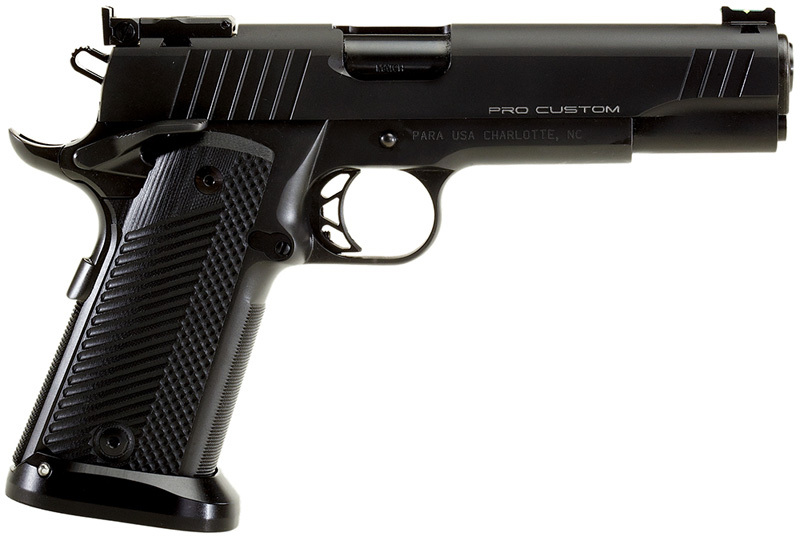 The Pro Custom comes in different calibers, .45 ACP, .40 S&W & 9mm. It has a 5" Stainless match grade barrel, (Ionbond finish) and a stainless steel frame & slide. It has EGW Fire control, full length guide rod, HD extractor and Dawson Precision magwell. Equipped with an adjustable rear target sight and green fiber optic front sight. Comes with Beavertail grip safety and ambidextrous thumb safety. Checkered front strap & mainspring housing (25 LPI). Black IonBond finish with VZ G10 grip panels. Also comes with two high capacity magazines.